It is impossible to describe the dramatic and long lasting effect that this senseless and appalling attack has had on America and also the rest of the world. Since 9/11 everything has changed for everybody. This painting depicts the pathos, the smouldering intensity, the descent into destruction that was represented by this mindless event. It portrays the sheer pain endured by the victims which is clear and tangible when you are in front of Laubin's painting. Carl Laubin, the renowned architectural artist and the world leader in the art of the Architectural Capriccio, was himself originally a native of New York. This is his Homage to New York and New Yorkers who suffered this attack. Laubin painted 'Elegos' immediately after the event whilst his emotions were raw. 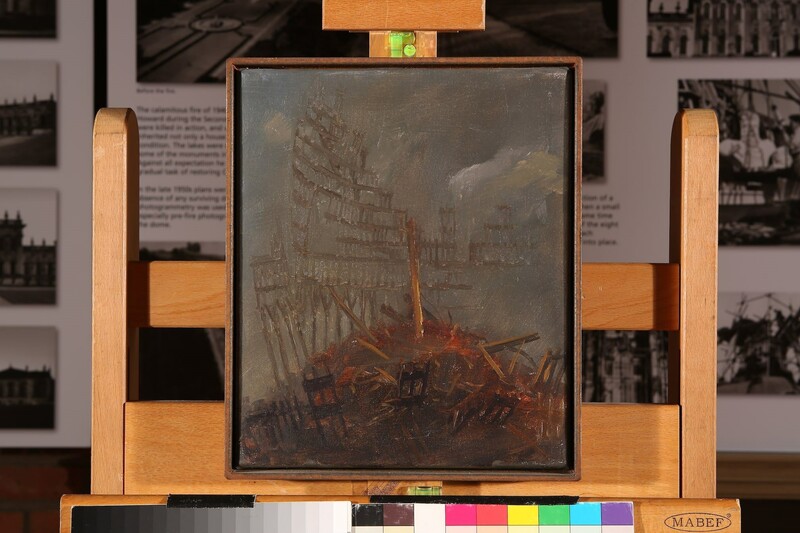 The painting and the 10 accompanying studies are a powerful testament to the events which occured on 11th September 2001. 'Elegos' has at its centre just one column of broken steel that remains upright and is bathed in sunlight, giving us hope that all was not lost on that day and that human endurance prevails. 'Elegos' and the 10 studies complete an awe inspiring display of great power and strength. 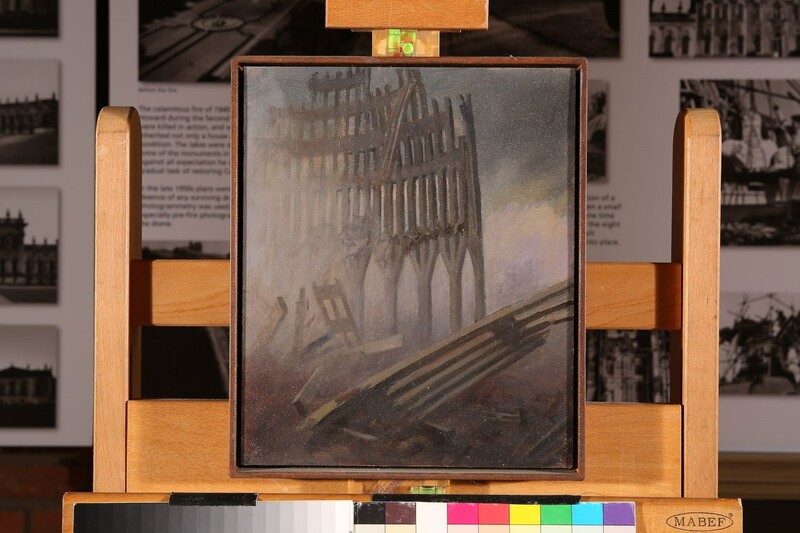 All of the paintings are framed in rusty steel which further evokes the feeling and memories of the mass of twisted metal that was left after the towers collapsed. The paintings have been in a private collection in England since 2002 and are now back on the market at Plus One Gallery. If you would like to view the paintings or discuss the acquisition of these works, please contact the gallery.